After over half-a-year of fending off anti-GMO critics, and even retreating from science communication altogether, Kevin Folta is being recognized by his peers for his science advocacy. Folta is the 2016 recipient of the Borlaug CAST Communication Award. He serves as chairman for the horticultural sciences department at the University Florida, UF/IFAS faculty member and a member of the UF Genetics Institute. The honor is bestowed by the Council for Agricultural Science and Technology. They cited his prolific blog, Illumination, and his weekly podcast, Talking Biotech. One of the research focuses of his lab is how light quality affects fruit and vegetable development. His team also uses genomics to identify genes associated with flavor and disease resistance. Borlaug, a pioneer of plant breeding credited with saving millions of lives, is a longtime hero of Folta’s. 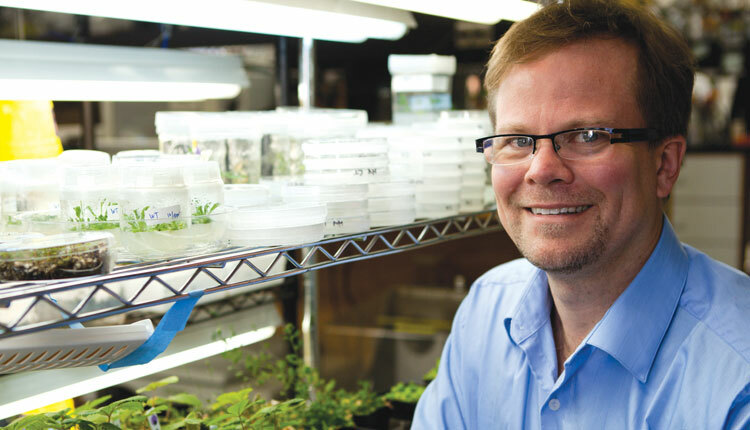 Folta has made sharing science with the general public a major focus of his career. He finds laypeople often have misconceptions about science, because those who stand to profit from peddling misinformation often work harder to reach the public than the scientific community does. He will be presented with the award during a conference Oct. 12, 2016 in Des Moines, Iowa, according to a press release.